Newark Mayor Cory Booker has been battling the snow on his city's streets tweet by tweet - and getting a lot of attention doing it. Since the Sunday storm that dumped about two feet of snow on the Newark area, he's helped lift cars, shoveled driveways and promised to send road crews to clear neighborhood streets after someone tweets that they have not been adequately plowed. "Good 2 talk 2 u. Glad streets now clear," Booker (D) tweeted in response to @bellygirl25, who had earlier complained that Ivy Street had not been plowed. Not only do Newark residents know that Booker is plowing the driveways of people with Twitter handles, such as @SWEETNGOLD347 and @ghostf4ce, so does much of the national political twitterati, which is blogging about him. 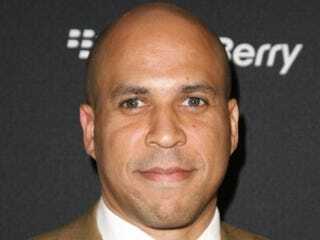 Booker's tweets, multiplied in their reach through retweeting, have shown another aspect of the political impact of social networking. "He's doing something that is very effective and very much capitalizing on the potential of this media," said George Washington University professor Doug Guthrie, who has studied the use of social media in politics. "The lesson for politicians is you have to engage it."